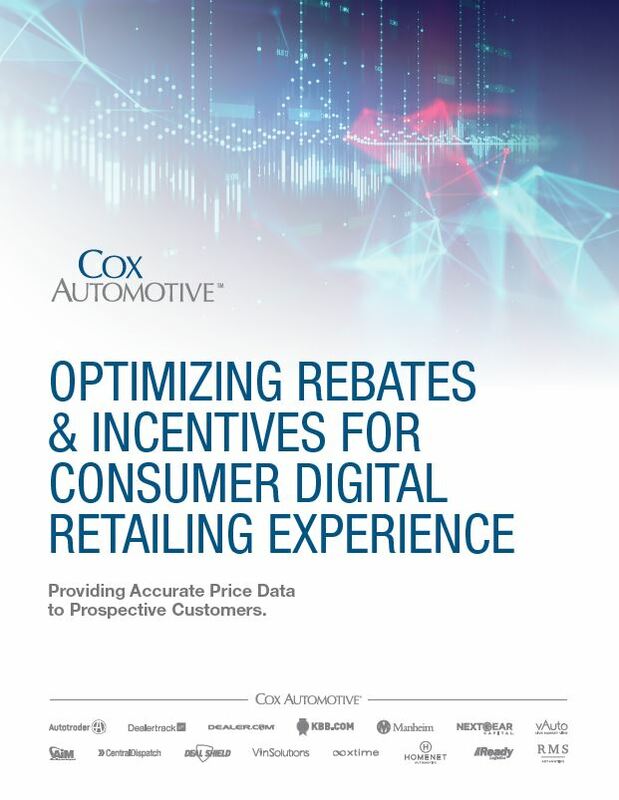 Optimizing Rebates & Incentives for Consumer Digital Retailing Experience - Cox Automotive Inc. Dealers have moved the process of applying incentives from a dealer practice to a customer-driven experience through digital retailing tools. Both dealers and consumers benefit from precise quotes and more accurate pricing. When consumers have access to accurate price and payments, they have a more informed approach and feel confident in their buying decisions. For dealers, this level of transparency builds the consumer’s trust in their dealership. Accuracy, speed and compliance are key measures for consumer adoption of digital retailing tools. The automotive retail industry has historically provided consumer incentives for use directly to dealers. Once the information was passed along, dealers chose how to share (or not to share) these offers with consumers. Incentives have been used within desking tools and advertising campaigns with little to no method for consumers to select the incentives that fit their transaction type, vehicle, and location, along with conditional offers such as credit and household demographics. Dealers’ practices varied dramatically, ranging from no disclosure to full transparency, and have been a cause of friction between dealers and consumers during the pricing and payment negotiation process. Automotive dealer service providers (DSPs) have moved the process of applying incentives from a dealer practice to a customer-driven experience through digital retailing tools. The dealer then wins or loses based on the accuracy of their data within the DSP application. Customers can confidently research and price a specific vehicle with the incentives applied to the VIN or YMMT configuration and use the conditional offers they may qualify for to arrive at a price and payment—all without entering a dealership. The Cox Automotive Rates & Incentives (CAR&I) team has developed a methodology for measuring the accuracy of the data used to calculate the price and payment that is presented through DSP tools. This study involved looking at seven new vehicles in two markets (East and West Coast) for consistency and differences in the APRs, cash and conditional incentives through these various tools. The CAR&I data was compared with two competitive incentive providers and variations were identified of $0, $250, $500, $2,500, $3,000, $3,250, $4,500, $5,000, $6,300 and $6,750. These are significant differences and lead to a loss of credibility in dealer pricing, as well as a loss on deals and dealer profit. The CAR&I team completed multiple steps to account for all incentives, along with the correct compatibility for accuracy to the consumer on behalf of the dealer. Both dealers and consumers benefit from precise quotes and more accurate pricing. When consumers have access to accurate price and payments, they have a more informed approach and feel confident in their buying decisions. This practice also helps consumers who are looking to apply for credit and to receive a firm trade-in value for their current vehicle with the intention of including it in the transaction. For dealers, this level of transparency builds the consumer’s trust in their dealership, increasing the chances of referrals and repeat business. Comparing the number of programs does not represent a complete picture of incentive data. Many incentives can be categorized differently. When comparing deal scenarios (purchase, finance and lease) applying both guaranteed and conditional incentives is required to audit the compatibility or “good with” logic. Use multiple OEMs with option/package code specifications in order to apply regional and VIN specific incentives. CAR&I data was audited against each applicable OEM VIN configuration tool and found to be accurate for all of the featured vehicles. Correct payments are dependent on accurate incentive application to the type of transaction. Accuracy, speed and compliance are key measures for consumer adoption of digital retailing tools. Seeing the same consistent incentives across multiple software tools and media properties promotes credibility and trust in the purchase process. A consumer-friendly display featuring multiple transaction types drives deeper shopper engagement by providing more options for consumers to take further steps in the sales process for a more personalized experience. A recent Kelley Blue Book study on incentives shows consumer awareness of all incentives available to them as new vehicle shoppers is only 24%. Providing full coverage of all OEM incentives, with the compatibility for consumers to see what they qualify for, provides exposure through DSPs and dealers to shoppers who need this information as part of their vehicle purchase process. Additionally, this can earn the consumer’s trust that the price and payment they have “penciled” is correct for the type of transaction they have chosen. emphasizes accuracy, speed and compliance. CAR&I powers more than 70,000 dealer applications per month (partners and native software/sites), and is viewed by more than 40 million shoppers. These partnerships come with trust and responsibility to the dealer and consumer to get the pricing and payment correct, using “penny perfect” incentive data. The results of this research show that by using CAR&I, our partners and their dealers provide more accurate payments on 3 out of 4 of the vehicles researched and help dealers “win” the payment battle to grow their sales. CAR&I specializes in rates, rebates and incentives, and has proven to do it better than anyone else in the industry. How can you provide accurate data to customers researching your vehicle prices? Take the Proof Positive Challenge today and see how your dealership can drive higher engagement while improving the conversion of website traffic to leads and buyers. To get started, email the Cox Automotive Rates & Incentives team or call us (734) 332-1970. 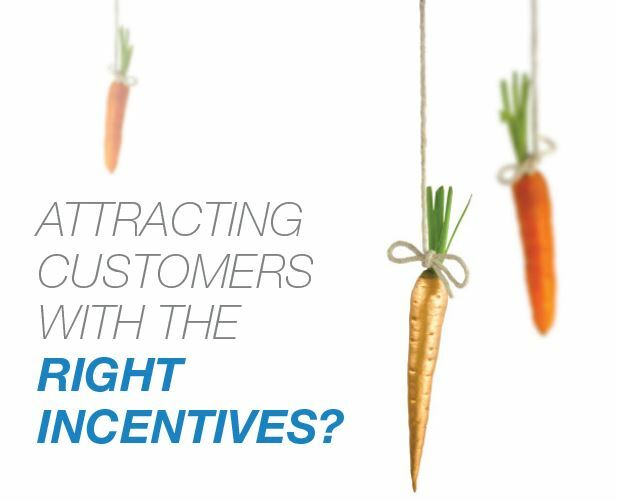 Are you attracting customers with the right incentives? Help your customers make more informed buying decisions with integrated (and accurate!) incentives.